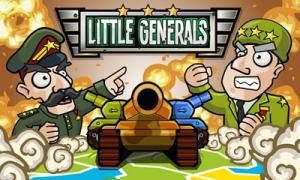 Little Generals. In this funny game you will take on your opponent. 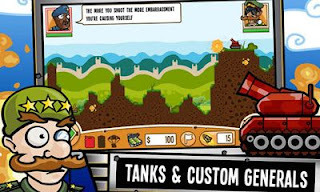 The game partly presents you the well-known Worms gameplay. Locations and style of the destruction of the enemy are similar. The difference is that only one tactical unit will oppose you instead of three. The player also has to capture the enemy territory divided into sectors. You may attack only those sectors that are adjacent to your territory. Units are represented by tanks, having various weapons in their arsenal. You may spend money got in battles to buy new ammunition or fuel. If you run out of fuel, the unit can not move and has to stay in one place.